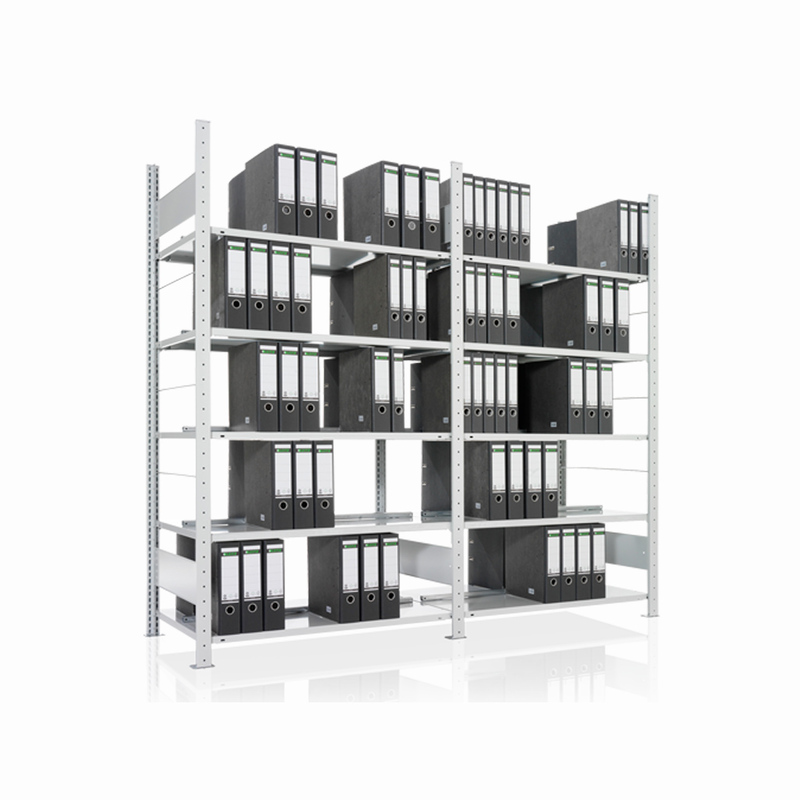 META COMPACT office shelving has all-round applications in offices, archives or businesses. It is available with cost-effective galvanized surface or also with shock-proof powder coating in RAL 7035 light grey. META office shelving is available both as boltless and bolted shelves. META also offers a series of special office shelves, such as boltless cabinets, hanging file and folder racks, archive shelves, and mobile office shelving. 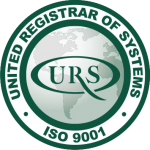 The extensive range of accessories allows customized solutions to be created. 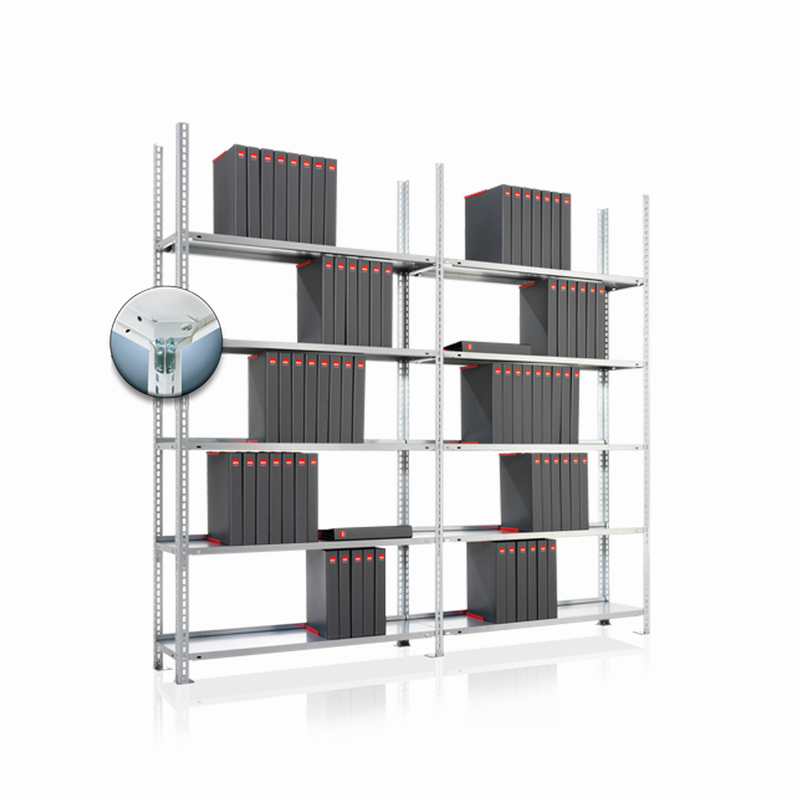 META COMPACT office shelving consists of shelves with 80 kg load capacity. It is therefore optimal for storing document folders. But not just for them – these durable shelves can also store any office utensils tidily and safely. The length and depth of the shelves are also perfectly dimensioned for files and folders. For example, 105 folders would fit millimeter-perfect into a 2500 mm high, 1250 mm long and 300 mm deep shelving unit with 7 shelves.